If you are noticing that the drains in your home are sluggish or you are seeing frequent sewer backups in your basement, you need to call on someone to help with sewer repair services in Bothell. These are issues that can and often will get worse if you neglect them for too long, so you need to hire the right team to come and take care of the problem sooner than later. Excellent History – As with many skilled jobs, you need to know that you are hiring a business that has an excellent work history. 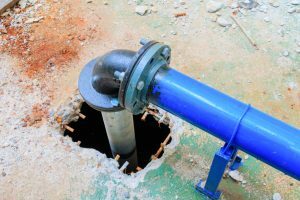 Sewer repair experts will have a list of happy customers who are ready and able to give references as needed. You can also do some research online to see what other customers and business rating websites have to say. Guarantees – Because sewer repair and replacement can be a big investment, you want to have guarantees in place to give you added peace of mind. Look for a company that stands behind their work. Customer Service – A good line of communication is key when you are working with any business. If you contact a company for an estimate and you get a bad vibe from the person on the other end of the phone, they are not the right company to tackle your sewer repair work. At Schleg Valley Construction, we have the experienced team members and all of the equipment to get your sewer repair job done right the first time. We are available for any questions or concerns that you may have an all of our work is guaranteed. You can feel confident in our sewer repair services in Bothell. Call us today at Schleg Valley Construction at (425) 312-6750 for an appointment.